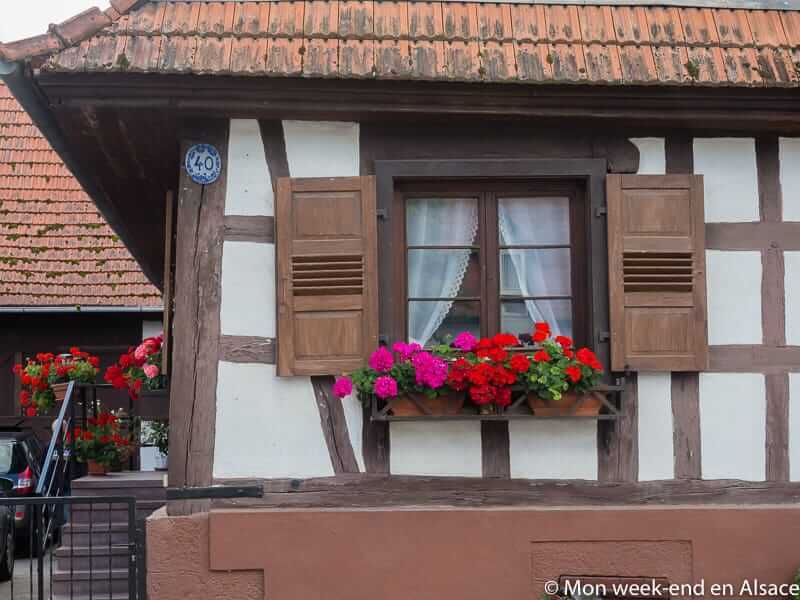 Hunspach is a charming village located in Northern Alsace. I went there one day to discover Hunspach during the Christmas holidays, but I had never been at another season. 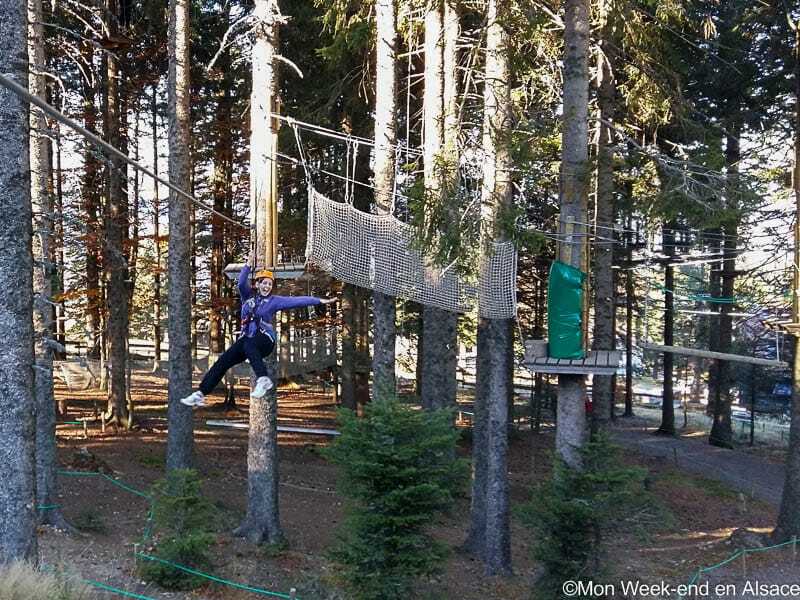 I’ve made up for that now and I really recommend you to visit it as well. Hunspach was mentioned for the first time in a document from 1298. The Reformation turned it into a Protestant village. In 1619, it passed under Swedish administration and it was obliterated and set on fire by Imperial troops in 1633. It would then be repopulated by Swiss immigrants. In 1787, Sweden bequeathed all its rights to the French Crown. 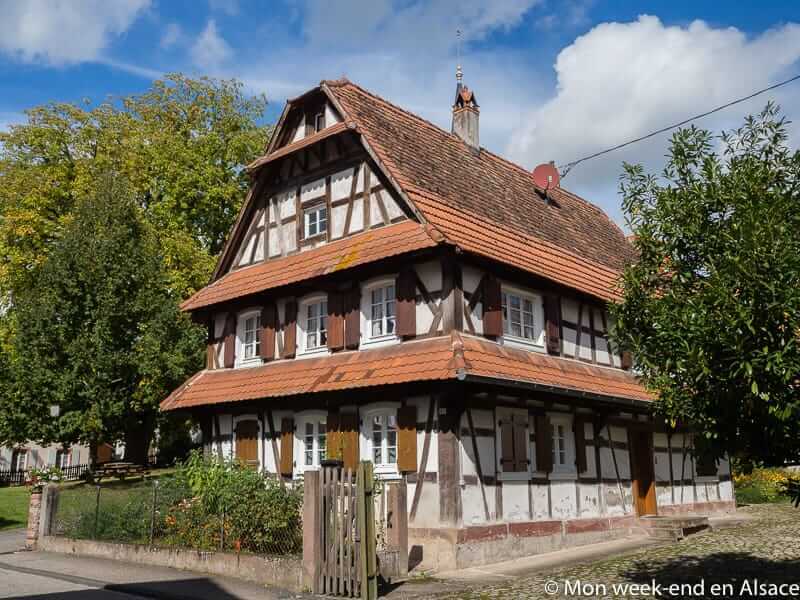 The 19th century finally led to a period of prosperity for the village, with the construction of a railway line between Haguenau and Wissembourg. 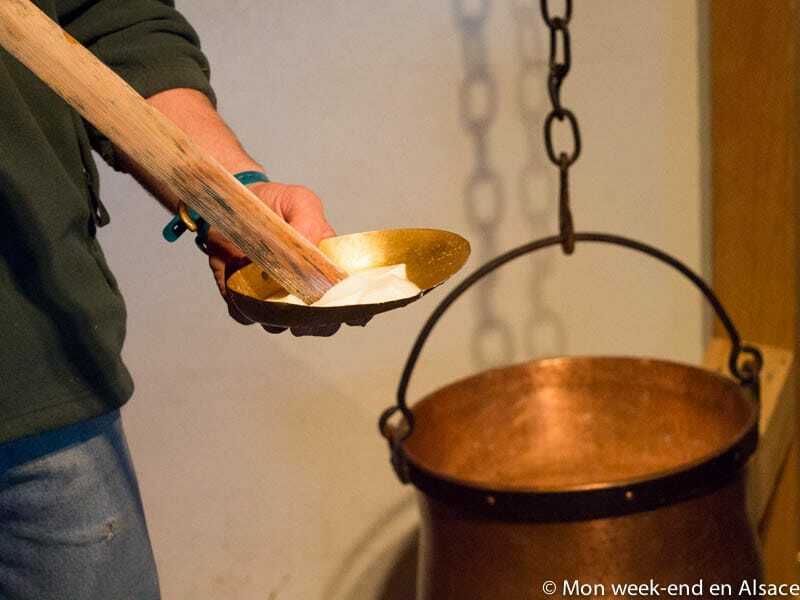 But what to see in Hunspach? The answer is simple: houses! 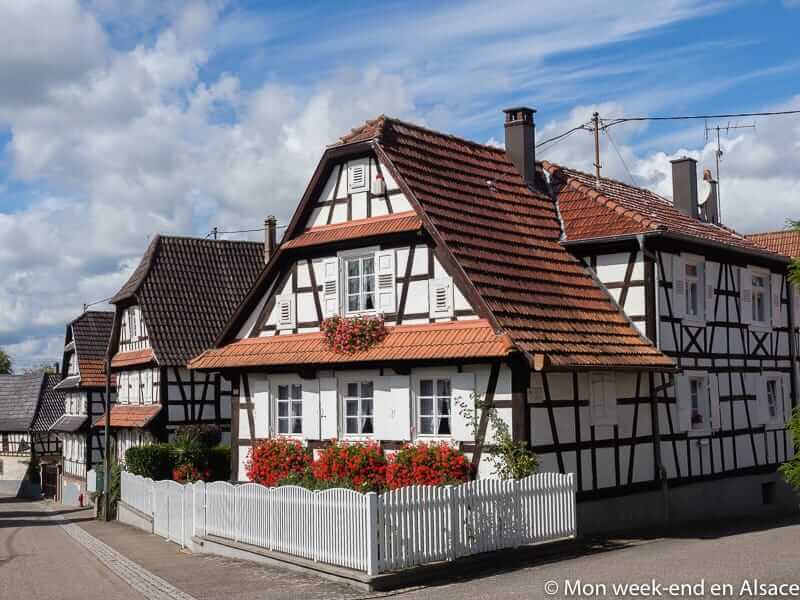 You should walk around the streets and admire the half-timbered houses that are typical from the region of Wissembourg. 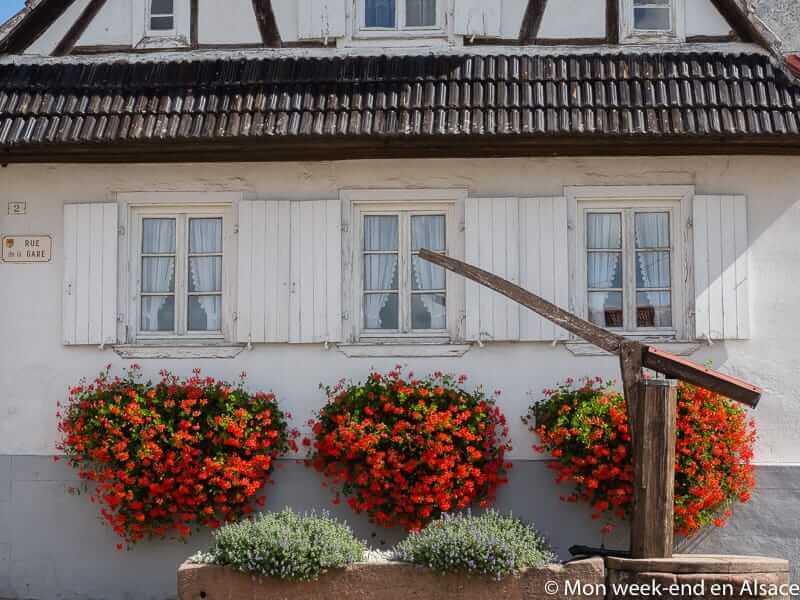 Unlike the Alsatian villages of the Wine Route that you have seen in pictures, you won’t find colourful houses in Hunspach. 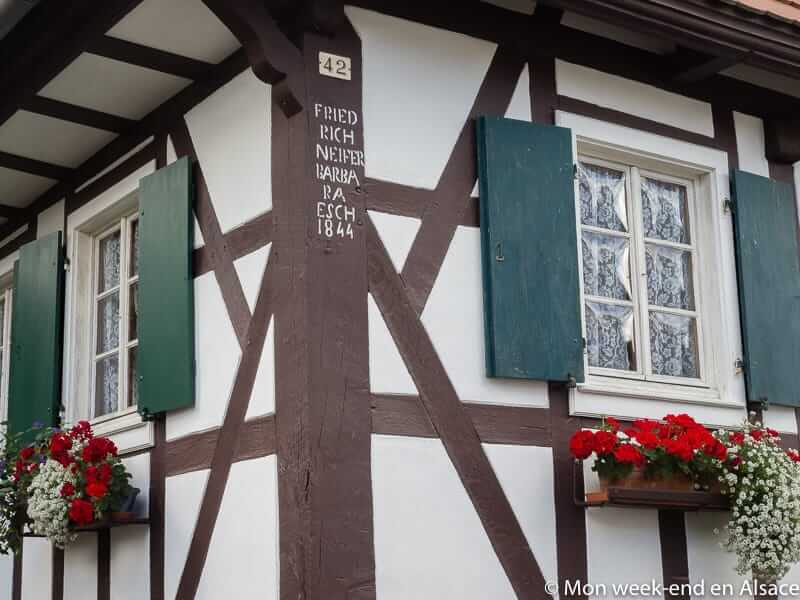 Traditionally, houses are white and they remained so in Hunspach. 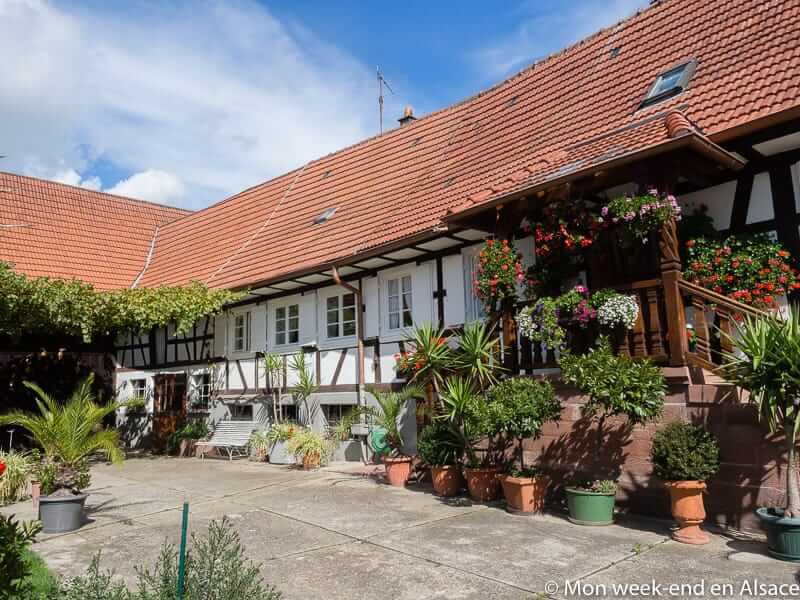 It doesn’t mean that it lacks charm, quite the contrary! This consistency is splendid. The village has wonderful half-timbered houses, abundantly decorated by the inhabitants: I really enjoyed strolling around and stopping in front of each house to admire courtyards, architectural details, windows… Speaking of windows, you will notice that several Hunspach houses have windows with curved glass, allowing to see outside without being seen (it was in fashion in the baroque period). 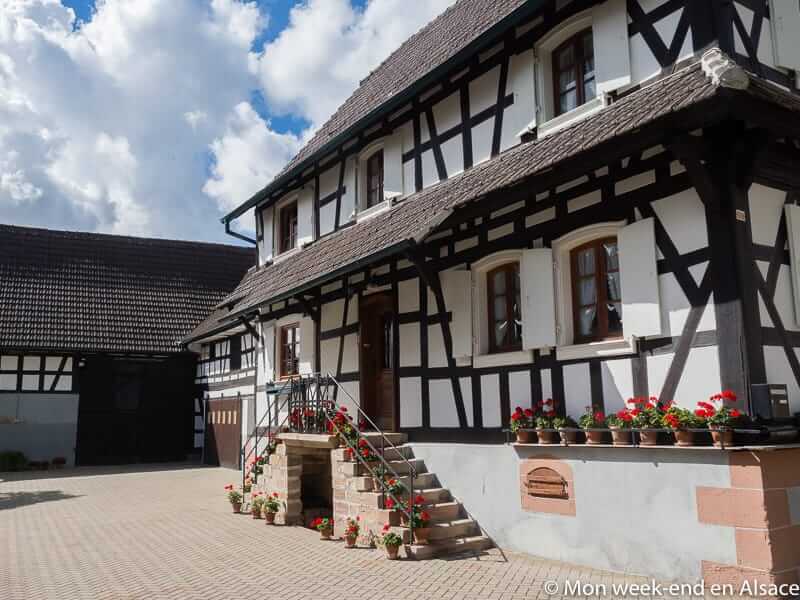 Hunspach also has a rich military heritage, including with the Schoenenbourg Fort, with is the largest work of the Maginot Line open to the public in Alsace. These underground galleries were attacked the most during WWII, but they have remained undefeated. 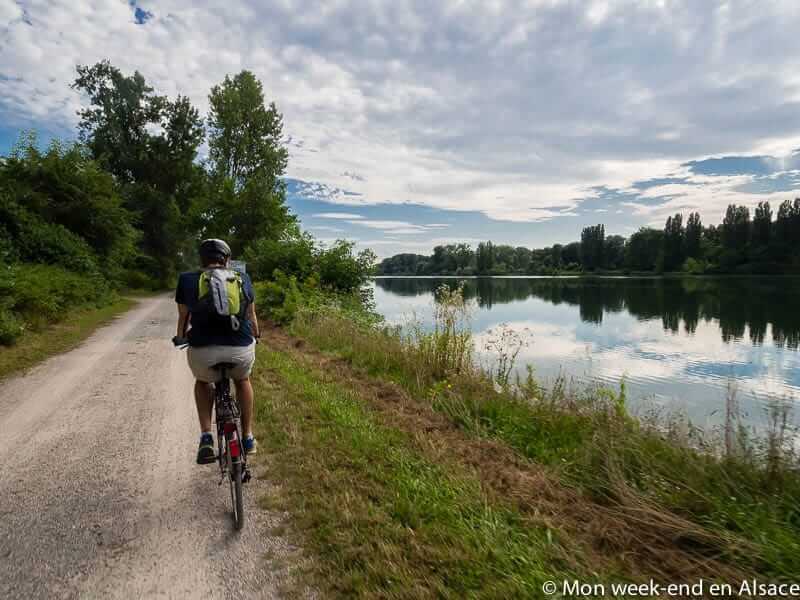 Hunspach is part of the very closed club of the “Plus beaux villages de France” (the Most Beautiful Villages of France), a title that is so well-deserved. 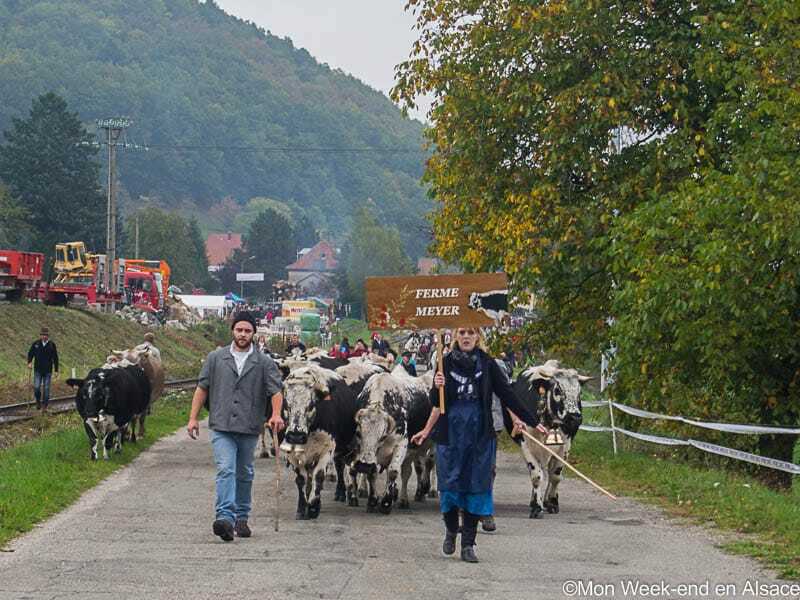 However, it’s not very touristy in comparison with other Alsatian villages. 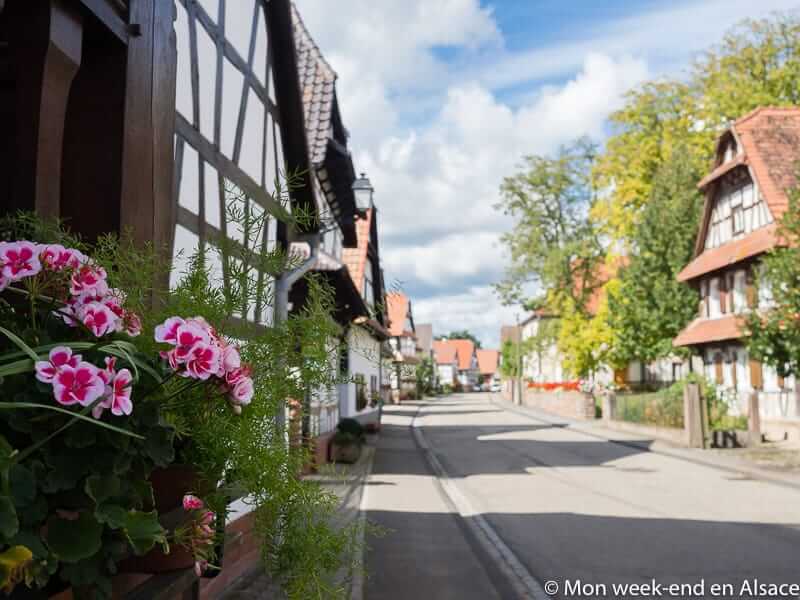 Here, you won’t fine shops lined up, but an authentic and peaceful village. 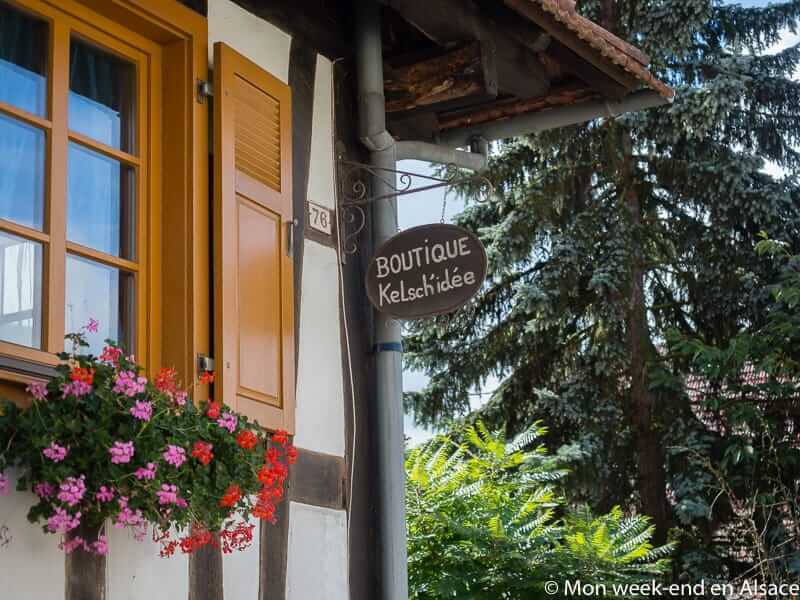 If you want to see Alsace off the beaten path, you should definitely go there. 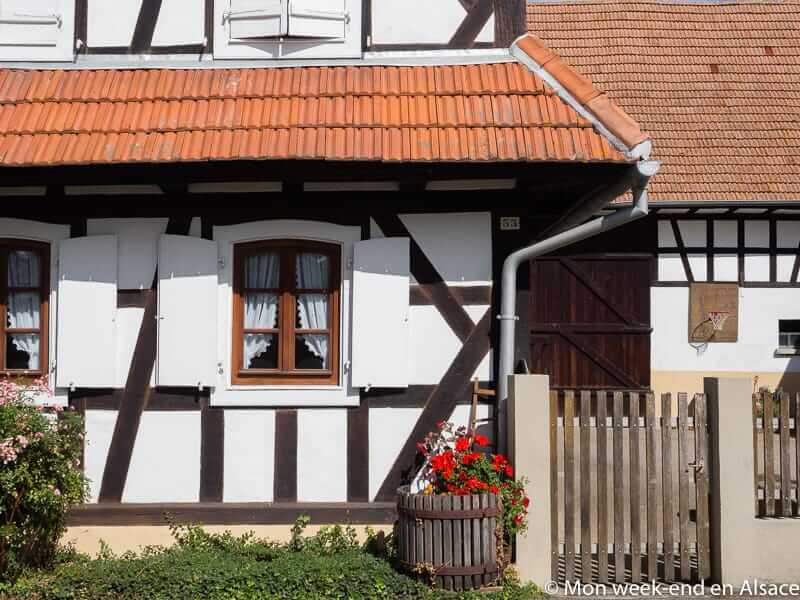 It’s not very big, but you can go on the same day as you go to the village of Seebach or even the town of Wissembourg (these are just some ideas!). 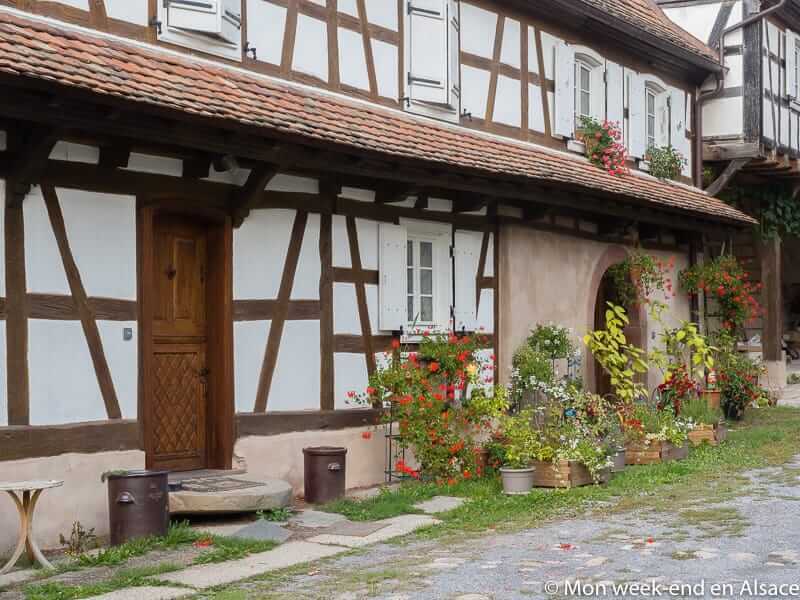 There are a lot of unknown places in Northern Alsace! 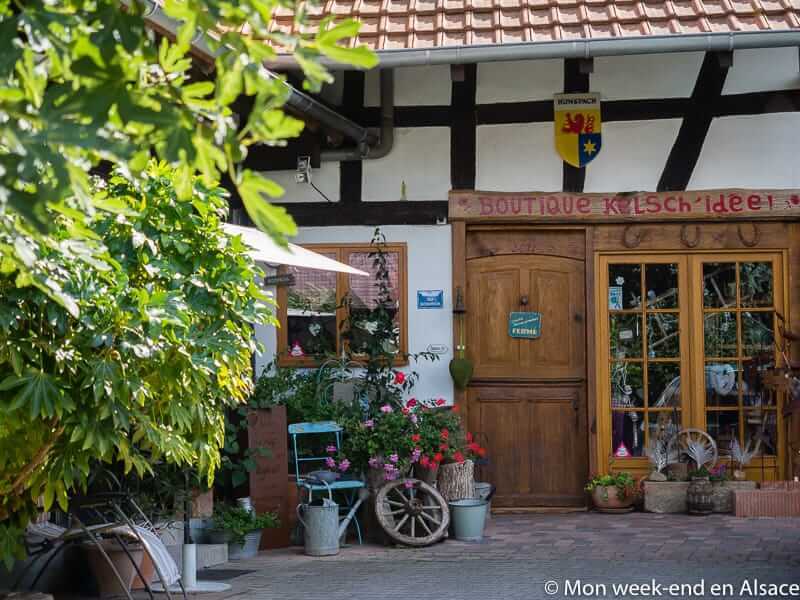 The shop Kelsch’Idées is located in a farm and offers artisanal decoration objects, but also some local products. It’s really lovely!